A number of factors can reduce or increase the likelihood of a fatal car accident. Reducing risk is the goal of every driver, so understanding the contributing factors can give drivers a greater sense of safety when behind the wheel. For accidents where the factors are out of the driver’s control, it is best to consult with a car accident attorney Chicago. The attorney can assist in collecting necessary data and completing important steps to help any resulting cases move forward. The size of the vehicles involved in an accident play a large role in the chances of a fatality. Occupants in smaller vehicles, such as cars, are at greater risk as there are less structure and room to absorb the energy from the crash. Occupants in larger vehicles are at a lower risk of collisions with other vehicles. However, they are at greater risk of rolling in single car accidents. 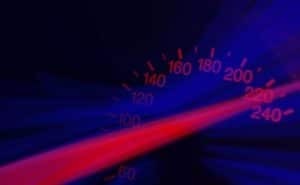 The speed of a vehicle also plays a significant role in the likelihood of a fatality. Regardless of size, if a vehicle is going at an excessive speed, the sudden stop is much more likely to result in a fatality. If a small car and large truck collide at a very slow rate, the likelihood of a fatality is much slimmer. Colliding with another vehicle or a fixed object also changes the odds of a car accident death. A vehicle that rear ends another vehicle at a set rate is more likely to result in injuries than death compared to a vehicle that collides head on with another vehicle going at the same speed. Colliding with a stationary object also increases the risk of death as many items are anchored, such as trees and light poles. They are more difficult to move, so that the vehicle is forced to stop suddenly instead of moving the object forward (like a car going in the same direction). Over half of the Illinois car accidents in 2015 that resulted in death occurred from frontal impacts. These types of accidents pose a greater risk for drivers as they have a considerable amount of equipment directly in front of them. Side impacts resulted in roughly a quarter of all Illinois car accident fatalities, largely killing passengers. Consulting a car accident attorney Chicago soon after a car accident can help ensure details and information are collected to make a better case.